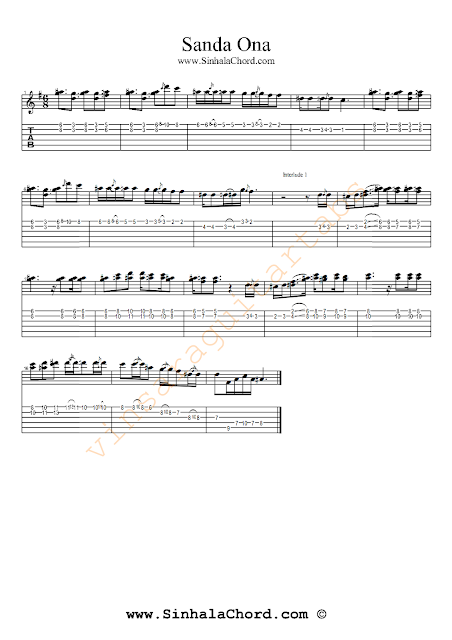 This is the guitar tab for the song "Masha" by Kasun Kalhara.Harmony parts are played on two guitar lines. But I have arranged it for one guitar and omitted some harmonies. I have created a guitar pro file not only for the lead part but also for rhythm guitar,bass guitar and for drums.So you can use it as a backing track while you are playing the lead part. 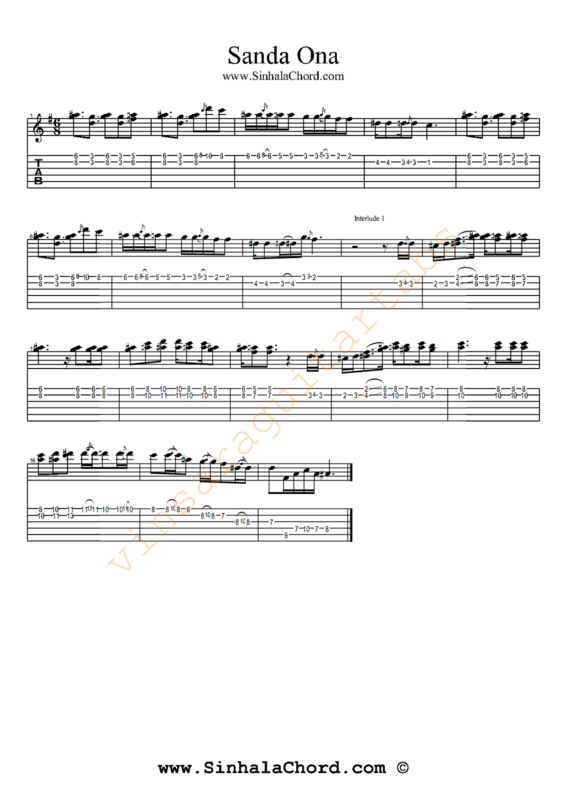 Guitar pro is a tablature editing software.It possesses a built in MIDI-editor, a plotter of chords, a player, a metronome ,speed training tool,guitar tuner and other tools which are very useful for a guitarist or a musician. It has versions for Windows, Mac OS X and Linux and is written by the French company Arobas M.
PS: I was unable to update the site with guitar chords of Sinhala songs for few days as I was busy with my studies.I will publish more songs soon.. Guitar pro file is included in the zip file which can be downloaded by clicking below link.